THE historic opening of Dumfries House to the public will have a positive economic impact on East Ayrshire and surrounding areas, First Minister Alex Salmond said today (Friday 6 June). 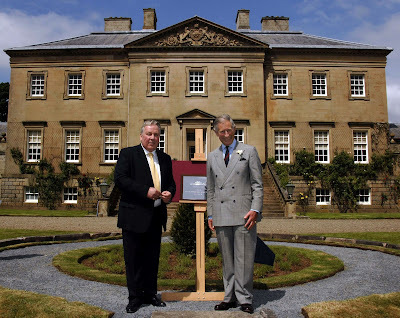 The First Minister was speaking as he joined His Royal Highness The Prince Charles, Duke of Rothesay, at the official opening of Dumfries House, granting public access to the property for the first time in 250 years. 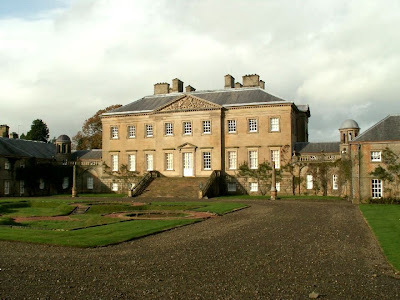 The Scottish Government was part of the consortium, brought together by The Prince, who reached agreement with the Marquis of Bute to purchase the 18th century Dumfries House and its collection to safeguard for the nation. 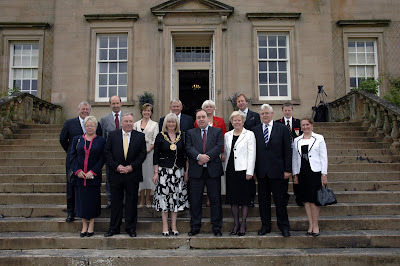 The First Minister said: “The opening of Dumfries House to the public is a historic and exciting occasion. The property itself is stunning, its furniture collection exquisite, all of which will leave a lasting impression on the great number of visitors it will undoubtedly attract. “Yesterday, I addressed the Sustainable Places: A Scottish Future conference held in the Palace of Holyrood in Edinburgh. I made clear that our ambitions for sustainable development in Scotland resonate with the collaborative planning approach developed by the Prince’s Foundation for the Built Environment. “And today we see The Foundation’s shared principles of community involvement and inclusion at the heart of the work in and around Dumfries House. “The efforts of The Prince and the consortium to save Dumfries House and the development signify the collaborative approach taken by The Foundation. In addition to opening the doors of this magnificent house, economic opportunities have been created through a significant boost to tourism and regeneration. “I look forward to seeing the future proposals from The Prince’s Foundation following the purchase of the adjoining land to Dumfries House with a view to further regeneration work in Cumnock. The internationally renowned Dumfries House and its collection of Chippendale and other contemporary furniture, was saved from sale and certain break-up almost a year ago after a dramatic last minute intervention by The Prince, leading a consortium of heritage groups. The opening marks a significant step towards realising The Prince’s vision for the project, which is to use the House and surrounding land as a catalyst for the economic regeneration of the whole local area. With £25m contributed by the Scottish Government and heritage organisations and trusts, and £20 million borrowed and provided by His Royal Highness personally, the House, its wonderful collection of furniture and its 2,000 acre estate were saved for the nation only hours before expiry of the deadline for sale at auction. The acquisition was subsequently described by the First Minister Alex Salmond as the “save of the century”. The organisations involved included The Prince’s Charities Foundation, the Scottish Government, The Art Fund, the Garfield Weston Foundation, The Monument Trust, the National Heritage Memorial Fund and SAVE Britain’s Heritage. The Art Fund acted as the formal legal purchaser of the house and its contents and subsequently passed them to the independent charity, The Great Steward of Scotland’s Dumfries House Trust. Michael Schafer, the chief executive of the Trust which was established to preserve and maintain Dumfries House and to open it to the public, said: "Since it was acquired last November, months of hard work have gone into turning the property from a private house into a visitor attraction. It has been a major task to ensure that it and we are ready to welcome public tours this summer." Michael Schafer stressed: "This is very much a continuing project, and this summer’s visitors will see the House as a ‘work-in-progress’. "The Great Steward of Scotland’s Dumfries House Trust, to give it its full title, was determined that the public should be able to visit this year, and we are looking forward greatly to welcoming many visitors from the surrounding communities and from further afield in the coming months." At the same time as Dumfries House was acquired for the nation, The Prince’s Charities Foundation purchased land adjoining the nearby town of Cumnock for development. It is intended that the opening of the house to the public, and the development of this related land, will together act as powerful agents of economic regeneration for the immediate area and beyond. There is a continuing and extensive public consultation process for the development project led by The Prince’s Foundation for the Built Environment. Dumfries House in East Ayrshire was designed by the Adam brothers and is internationally renowned for its unique collection of furniture originally bought for the house and made by Thomas Chippendale and the contemporary Edinburgh furniture makers William Mathie, Alexander Peter and Francis Brodie.